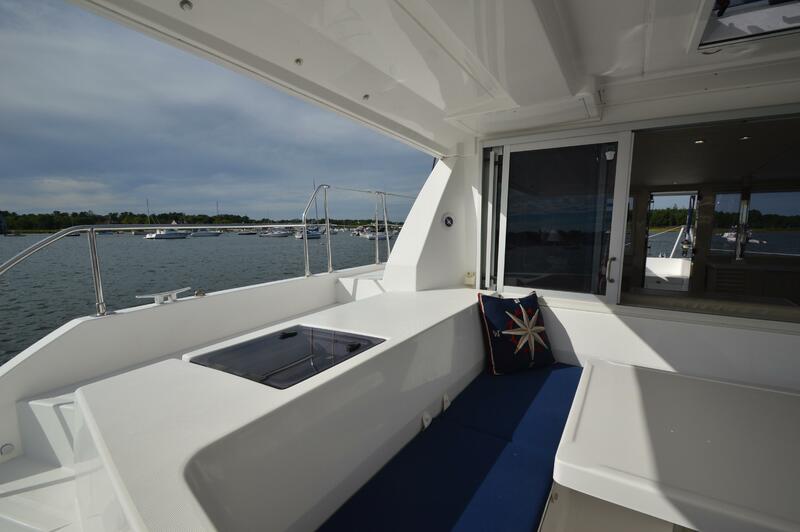 Leopard Catamarans Brokerage is Proud to Present Our Newest 2015 Leopard 40 Owners Version "BIG EASY", Never Chartered, 3 Cabin 2 Head , ICW Friendly Rig… a Must See Vessel !! 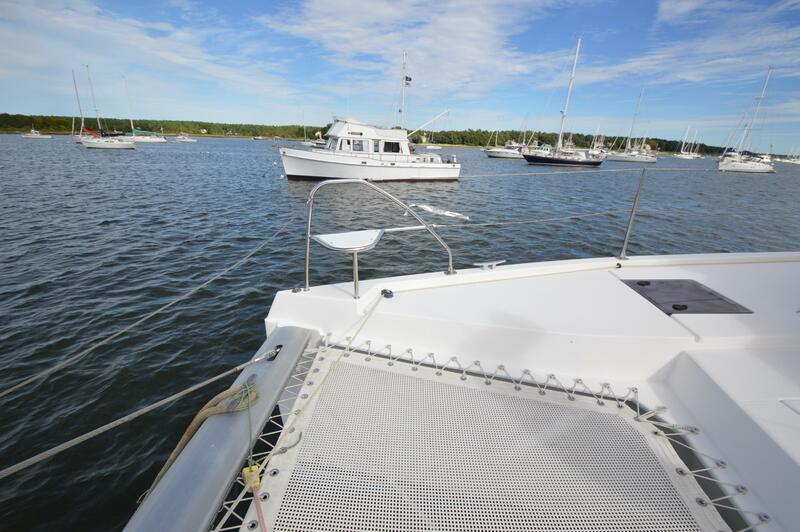 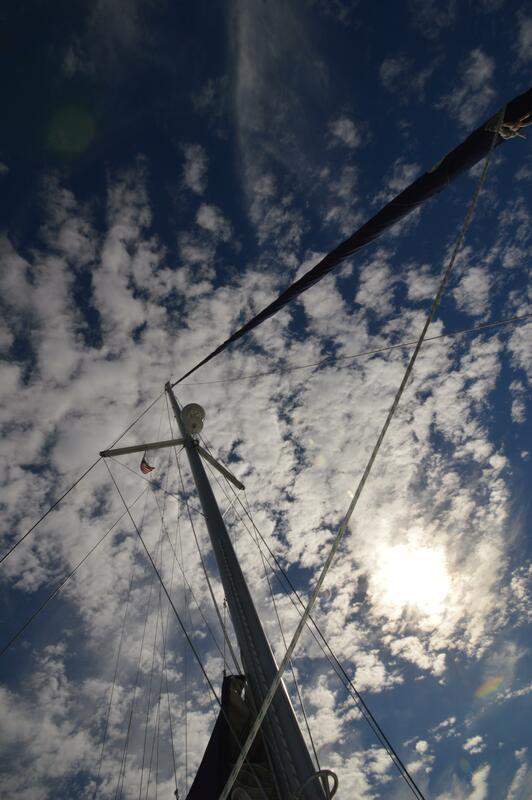 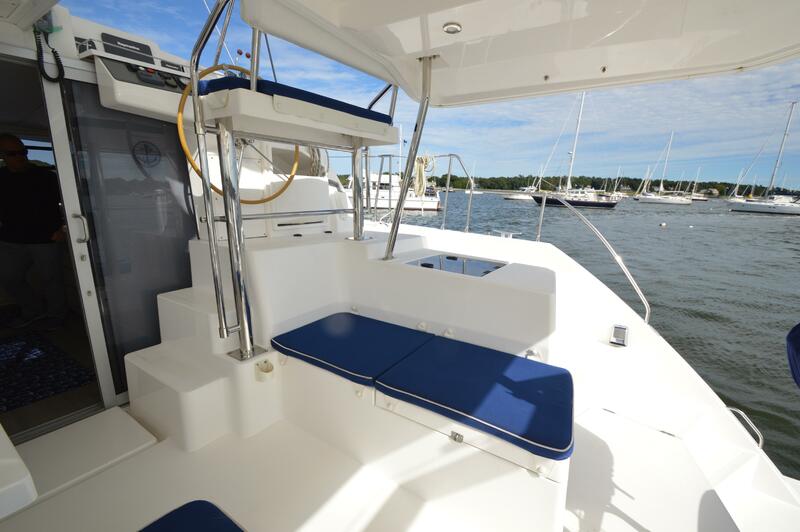 BROKERS REMARKS: BIG EASY is a rare 3 cabin 2 head, Never Chartered, Owners Version perfect for a cruising family. 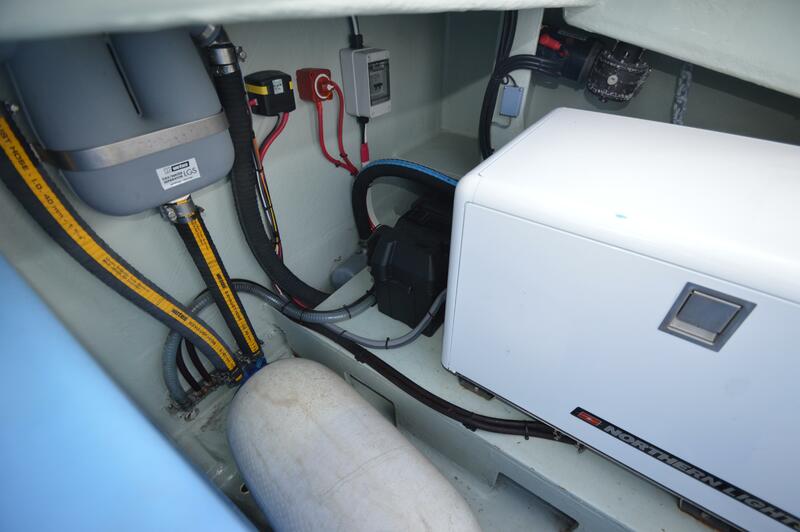 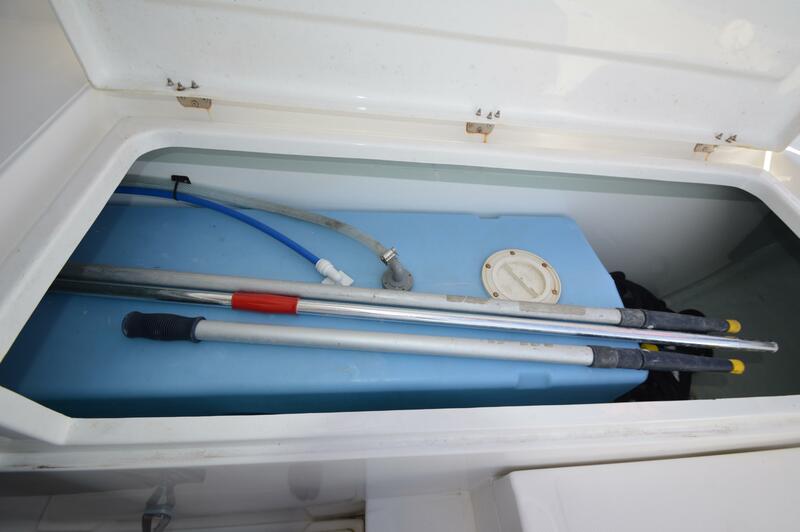 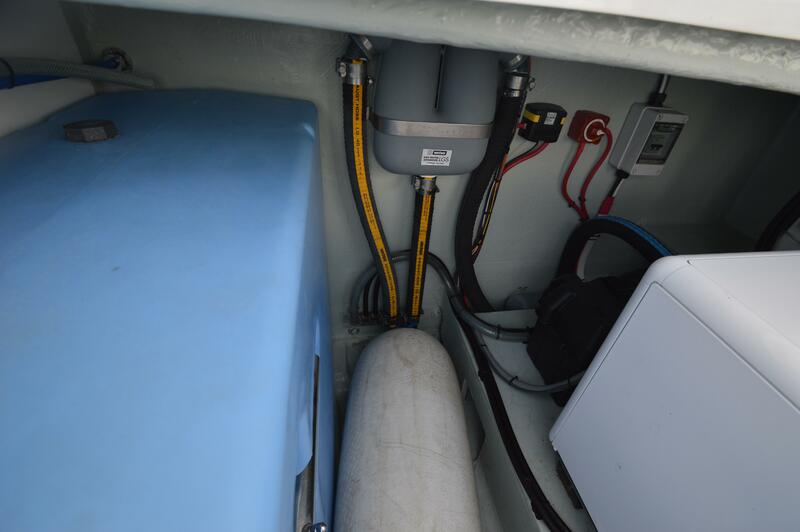 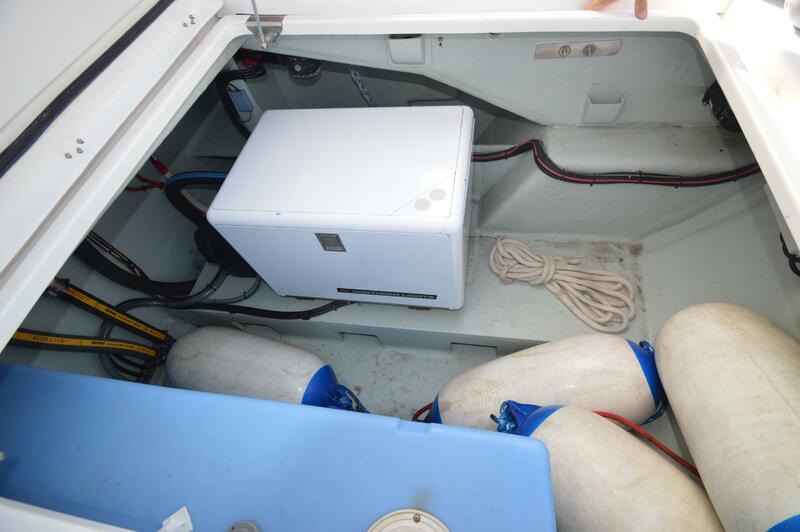 Yanmar engines, Raymarine Electronics Package with Radar, 420 Watts of Solar, Northern Lights 6kw Generator, Air Conditioning, Electric Dinghy Davits, 2x Electric Winches, Dinghy and Outboard, Custom Cockpit Cushions, the list goes on… BIG EASY is truly in sail away condition, ready to be sailed anywhere, and she’s cleaner than when she arrived from the factory, in EXCEPTIONAL Condition, extremely well taken care of! 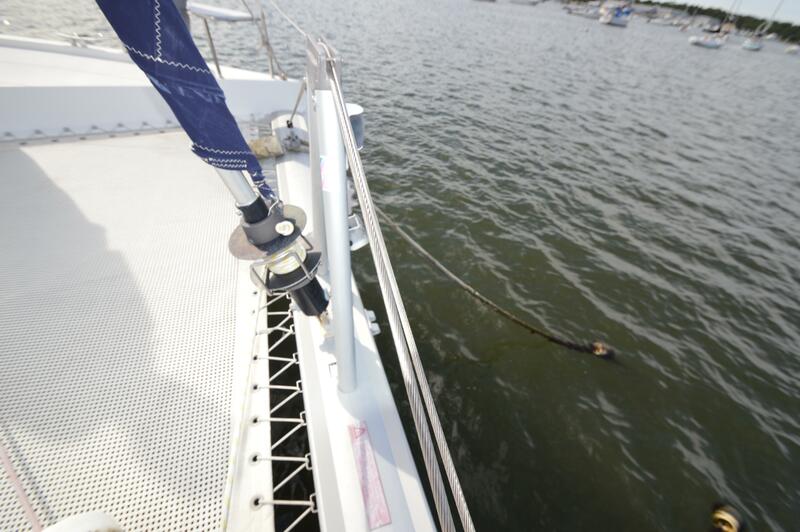 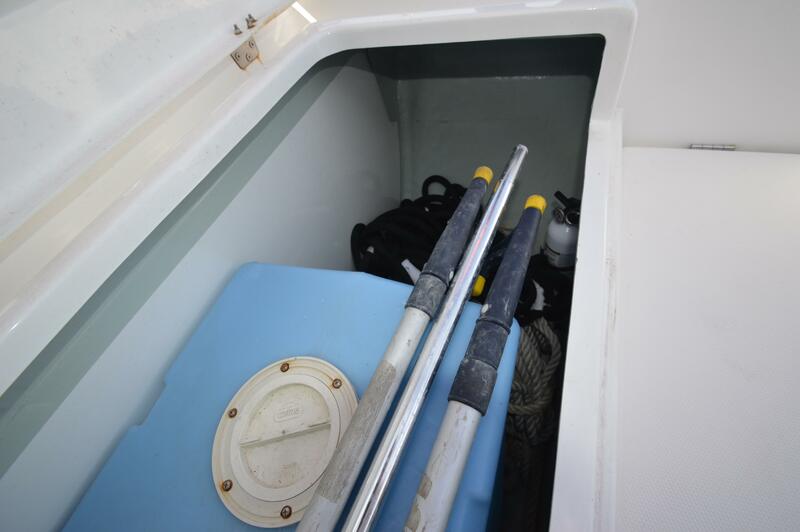 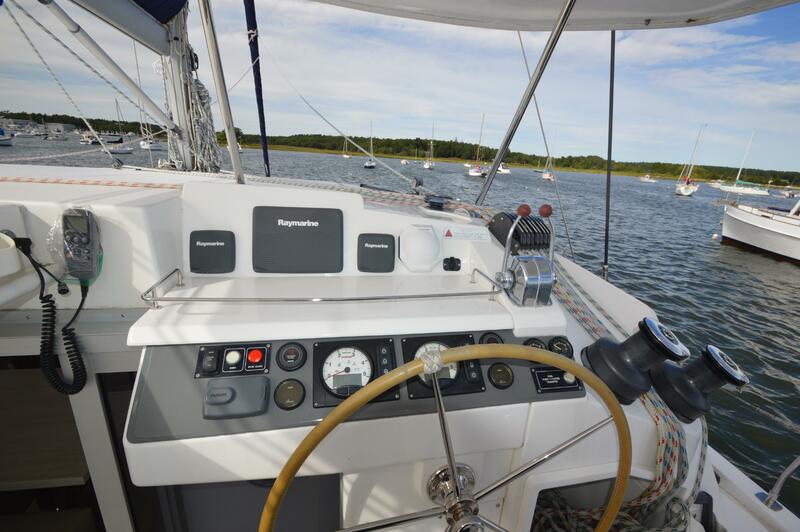 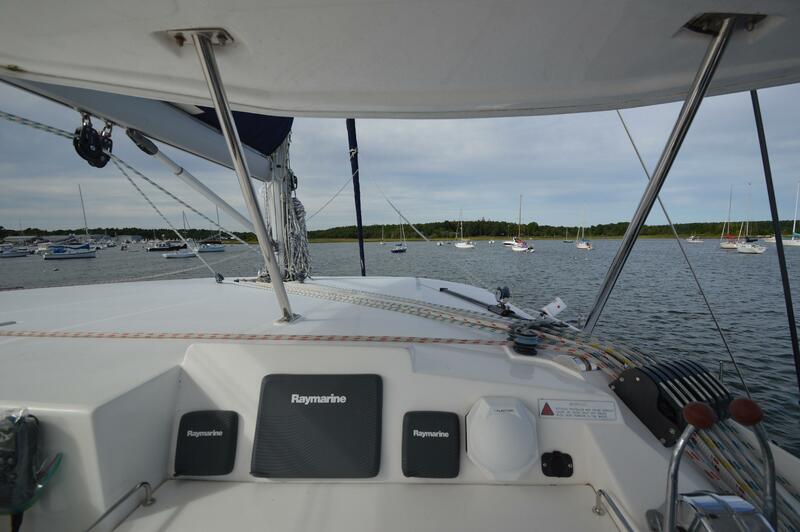 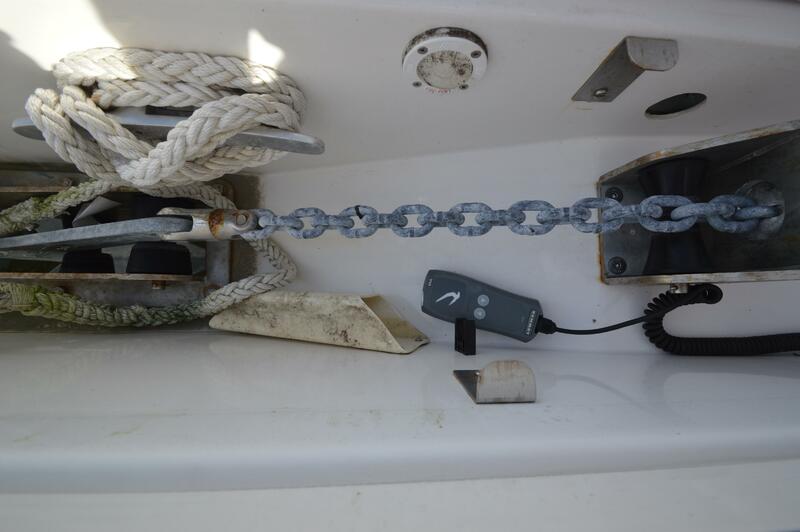 A Rare opportunity to purchase a great liveaboard 3 Cabin 2 Head layout Leopard 40. 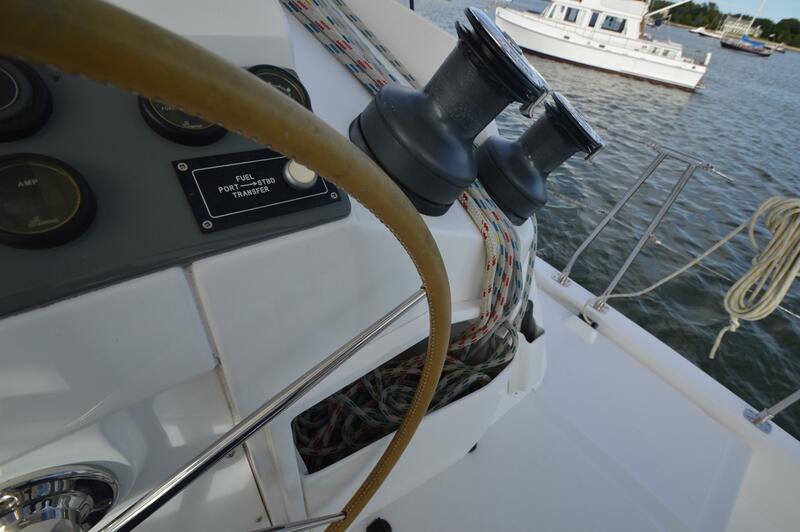 Don’t hesitate, she won’t last. 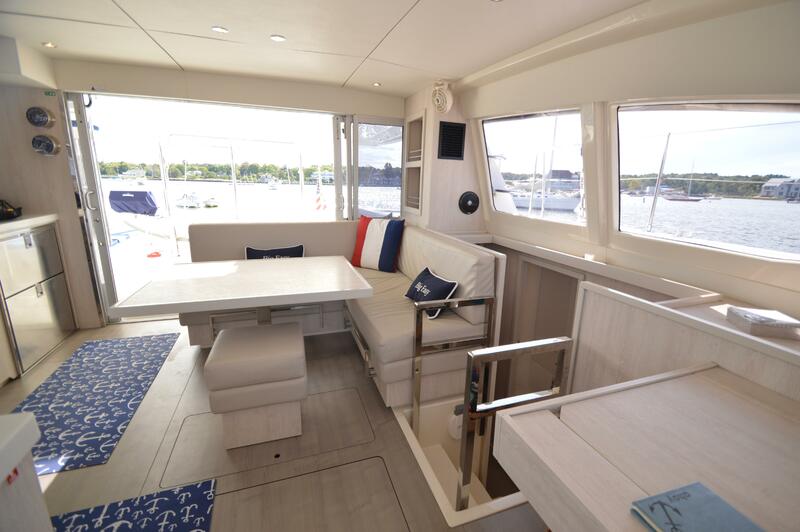 AVAILABILITY: Immediately – US Import duty paid, available to all Buyers, including US – Big Easy is currently heading South to warmer climate, expected to be in North Carolina by second week of November. 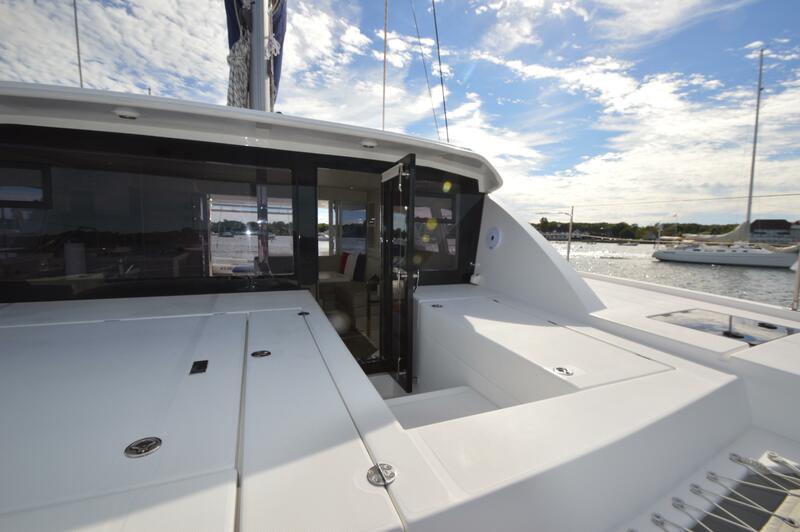 BUILDERS REMARKS: The Leopard 40, a product of South African boat builders Robertson & Caine, features a unique, modern design thanks to experienced naval architects Simonis and Voogd as well as Robertson & Caine’s design team. 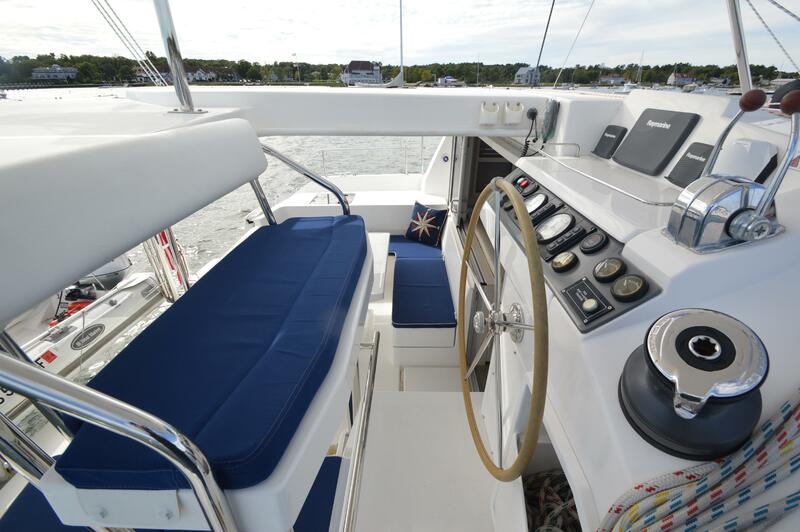 She resembles her predecessors in speed, agility, and blue-water performance, but her enhancements include an increased hull volume and an innovative interior layout. 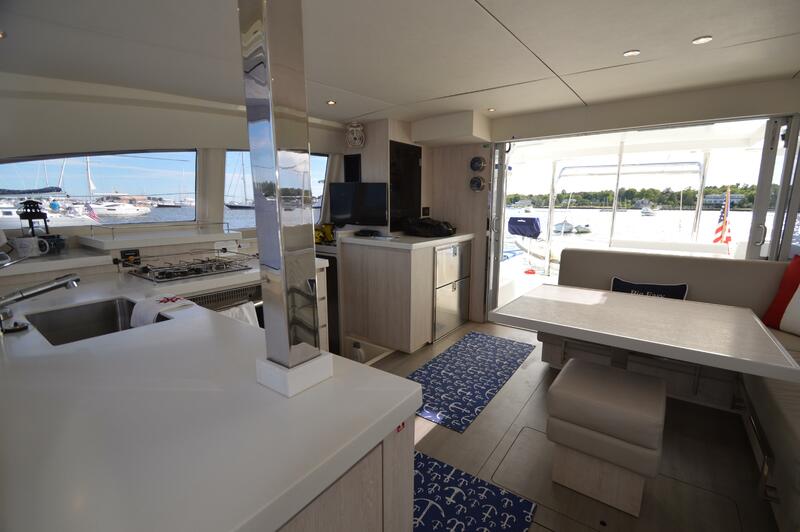 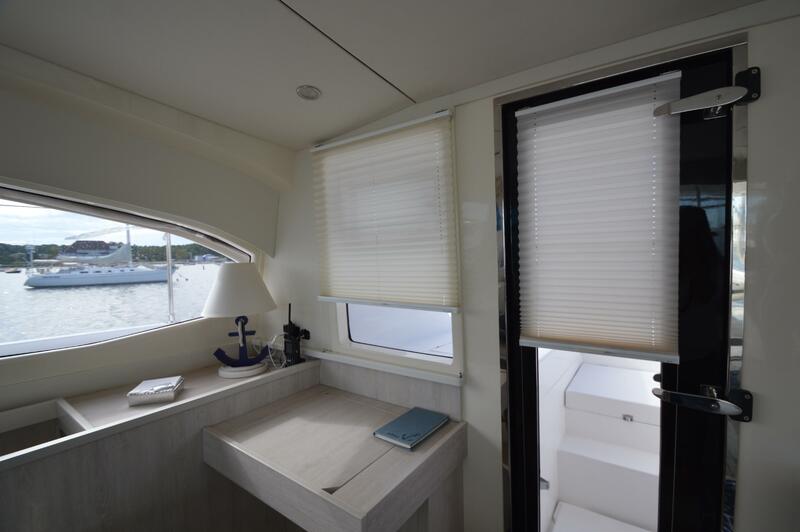 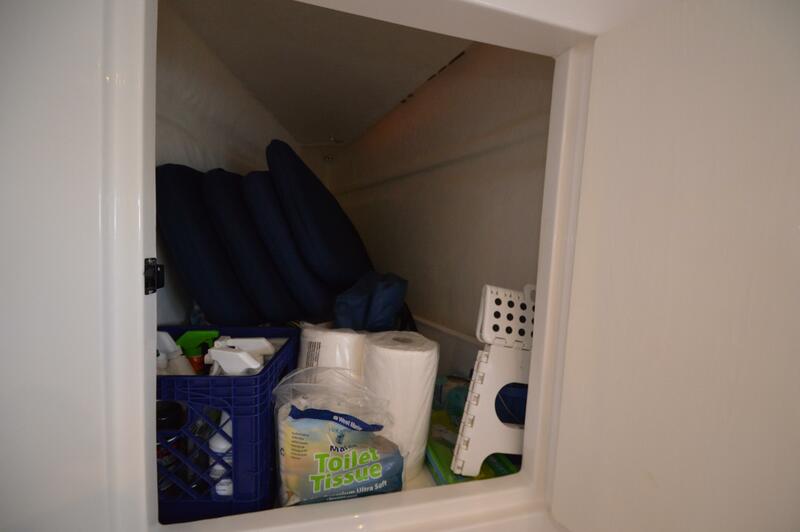 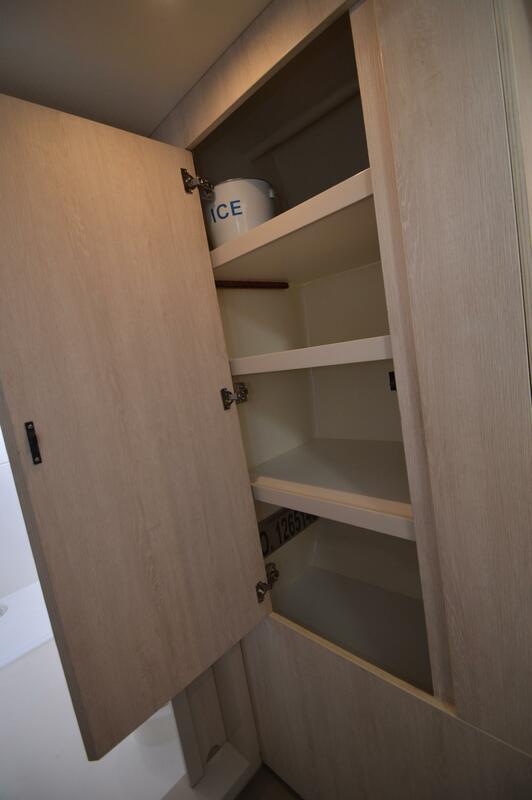 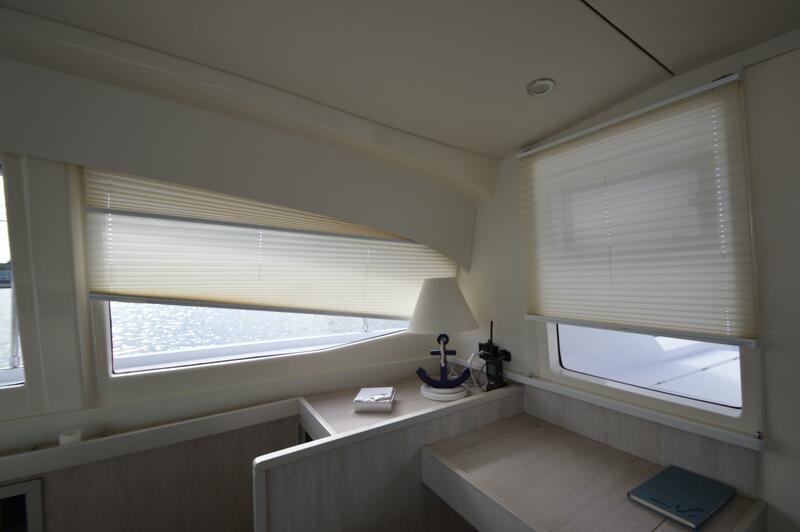 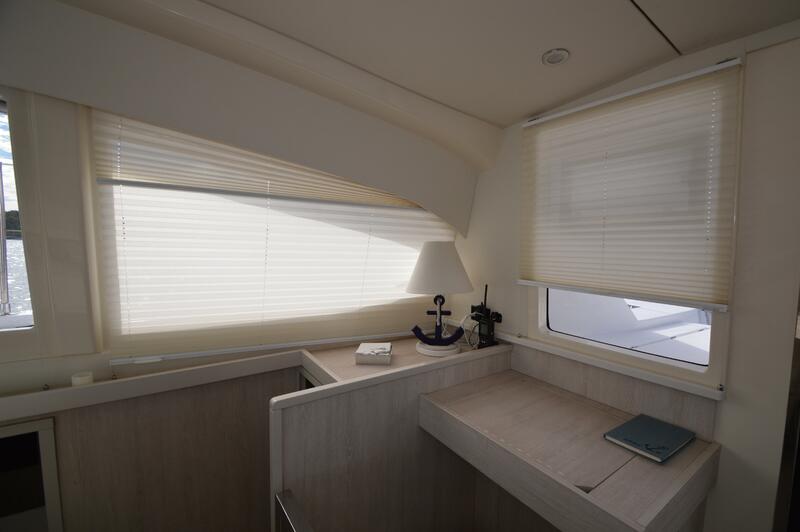 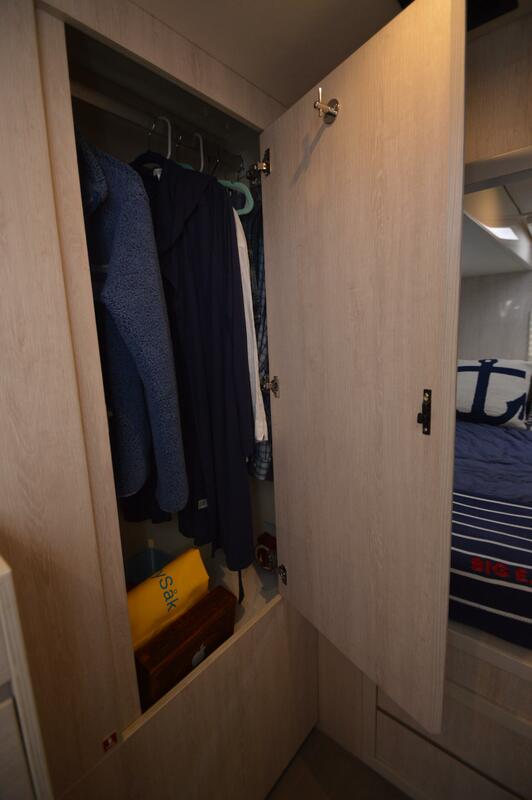 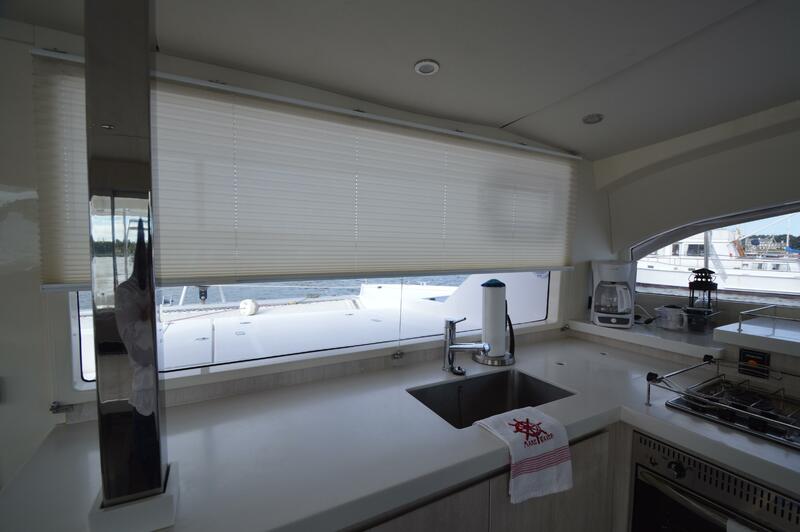 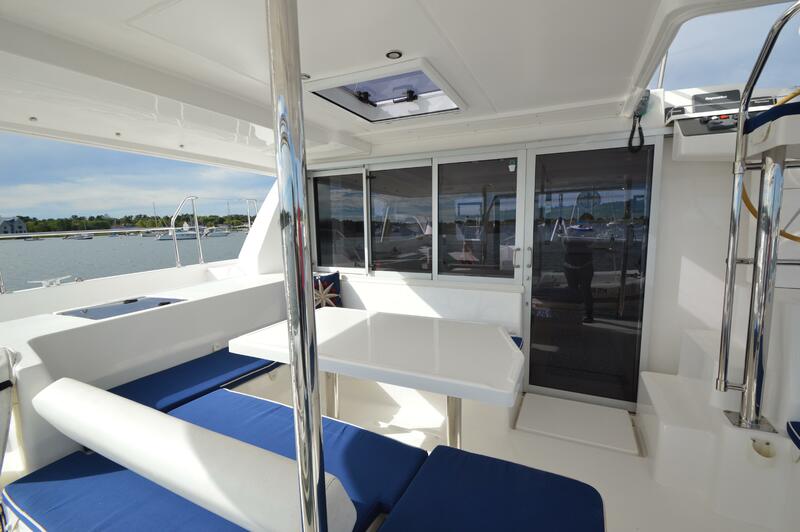 In addition, the galley area includes a large forward-facing window and an access door to the forward platform of the boat. 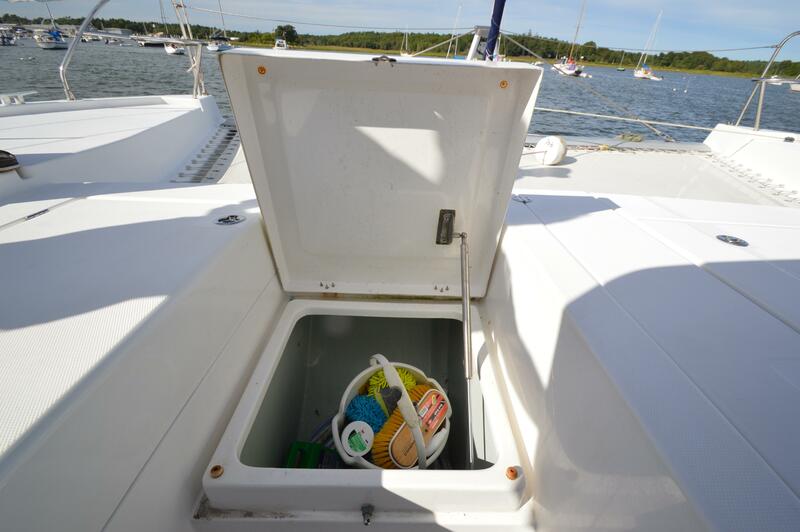 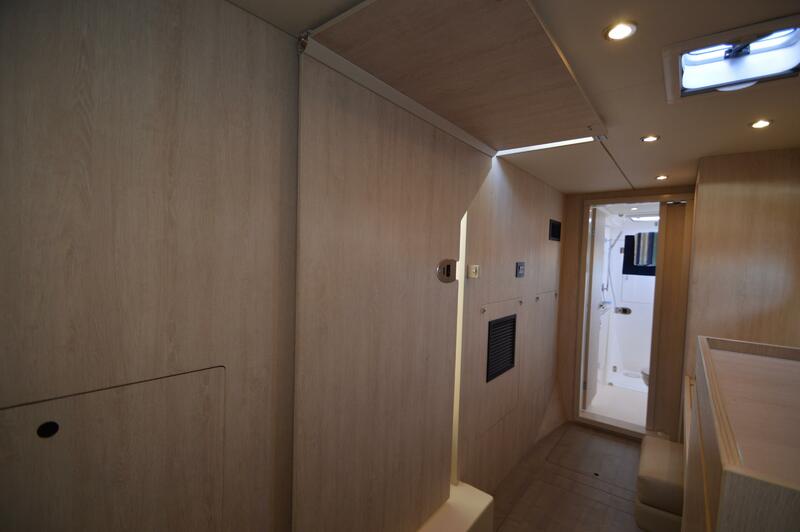 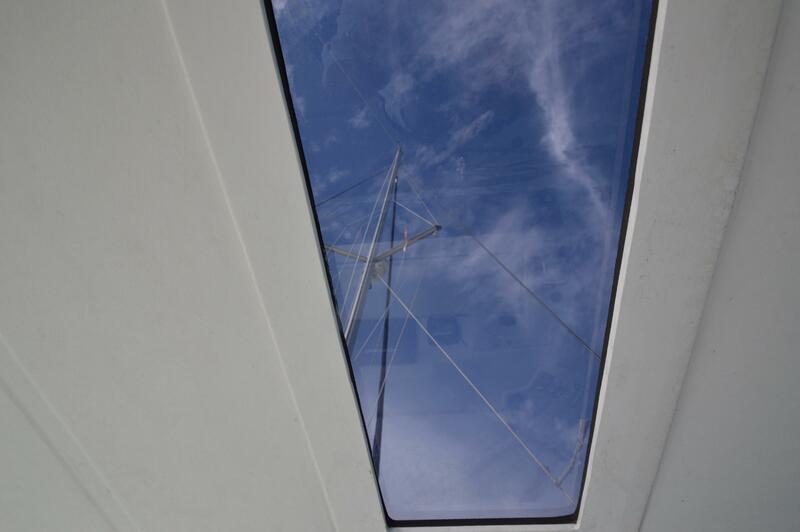 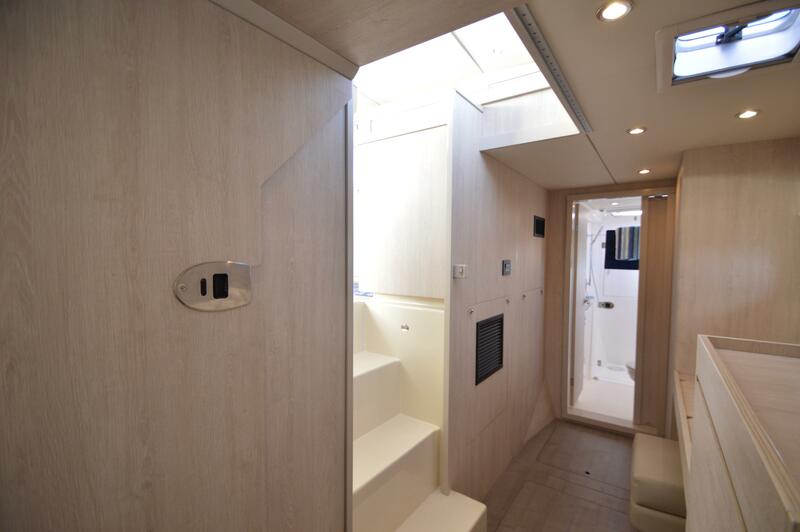 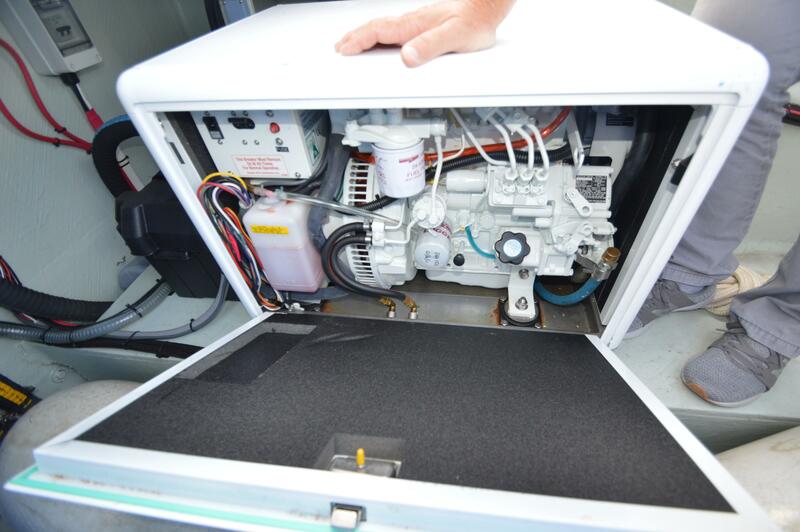 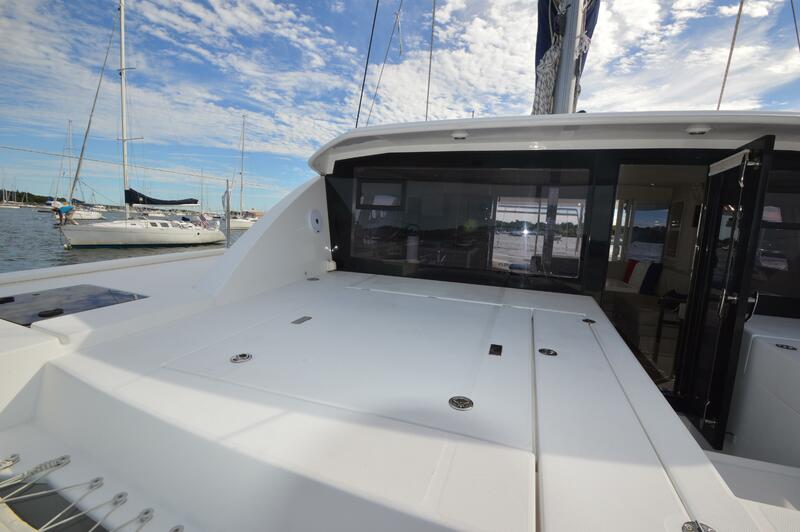 The access door enhances the open concept feel and easy navigation in and around the yacht. 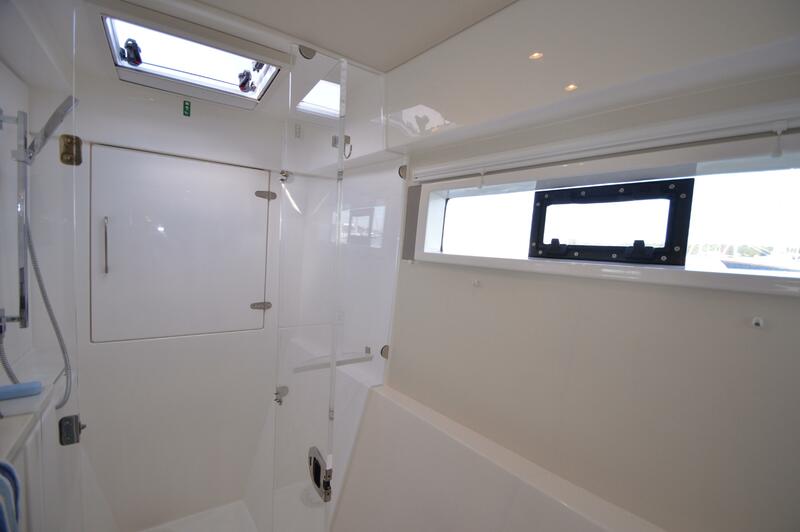 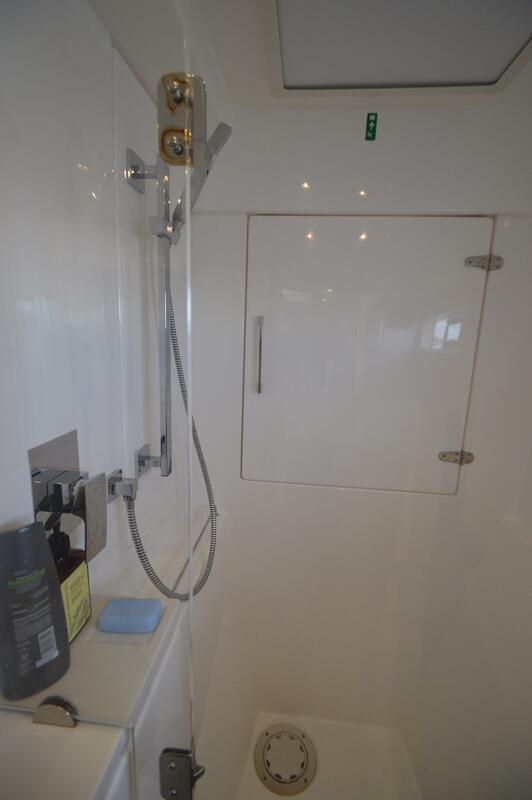 It also promotes ventilation throughout the interior. 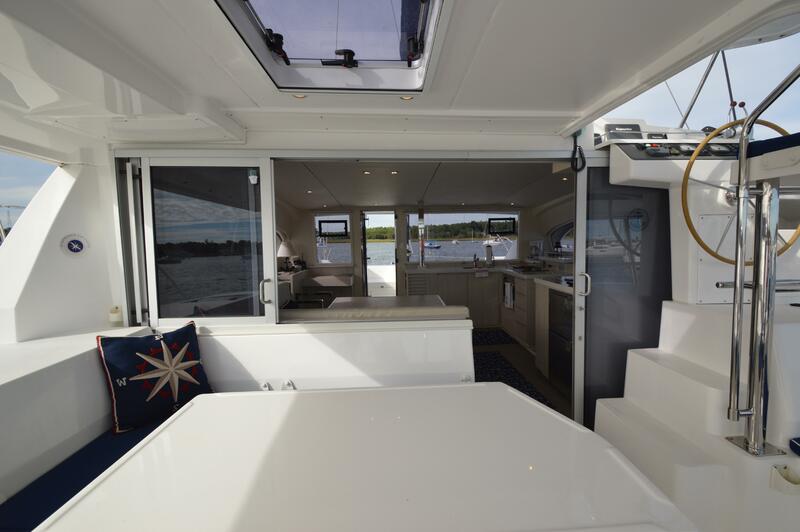 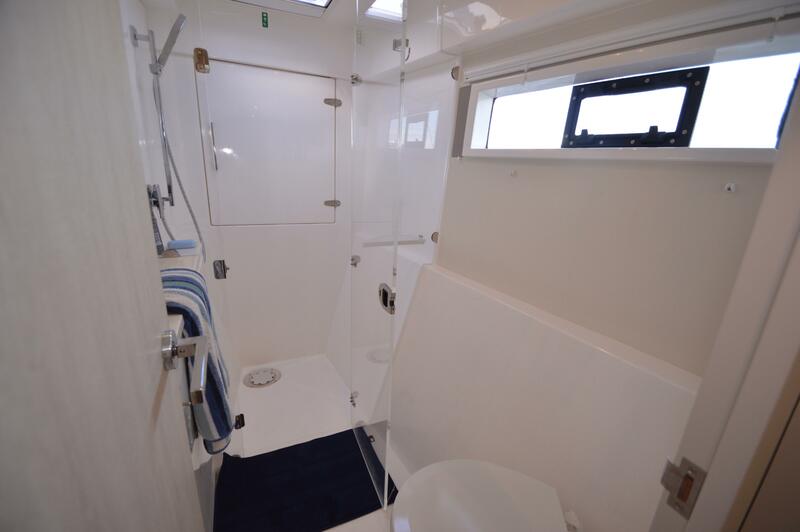 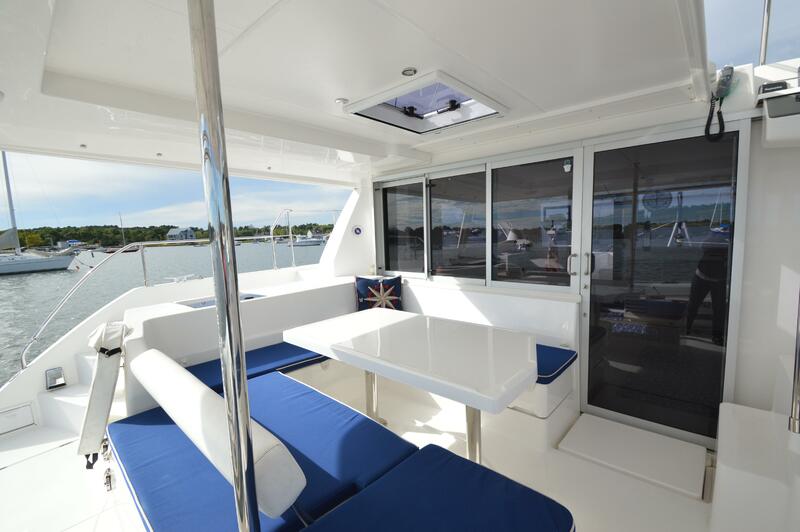 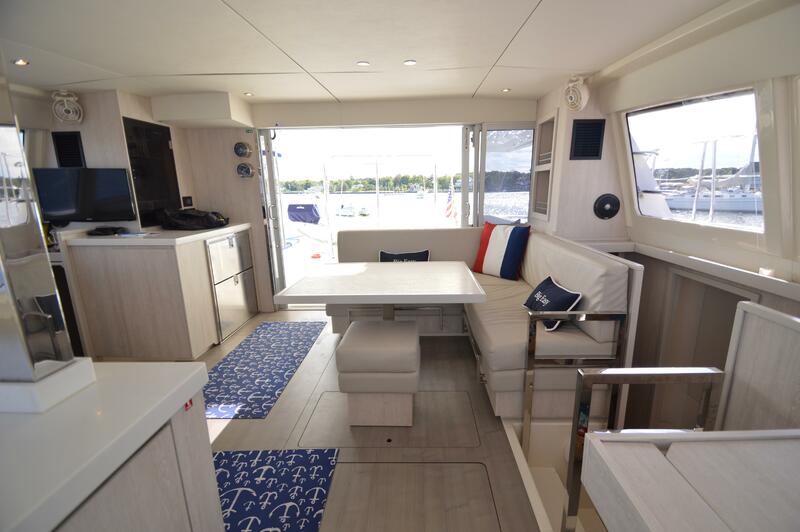 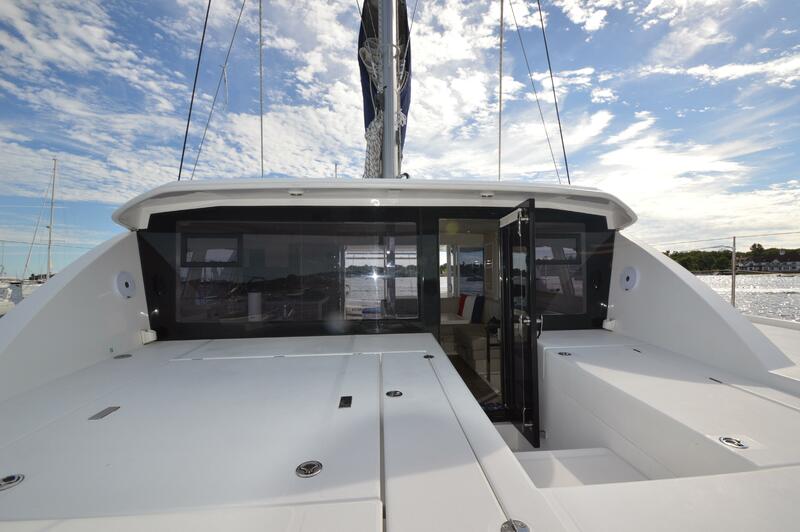 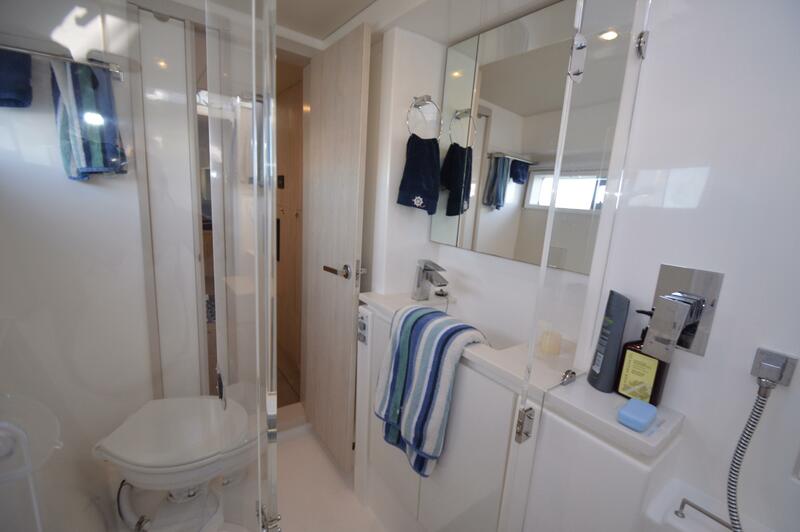 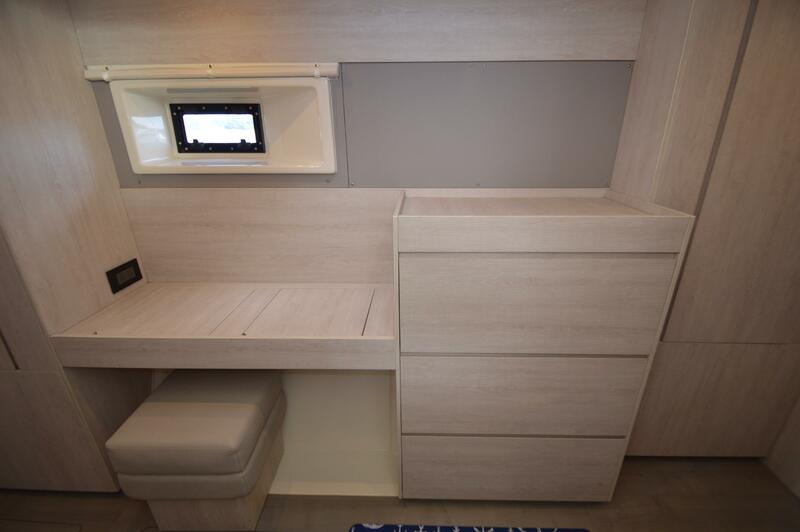 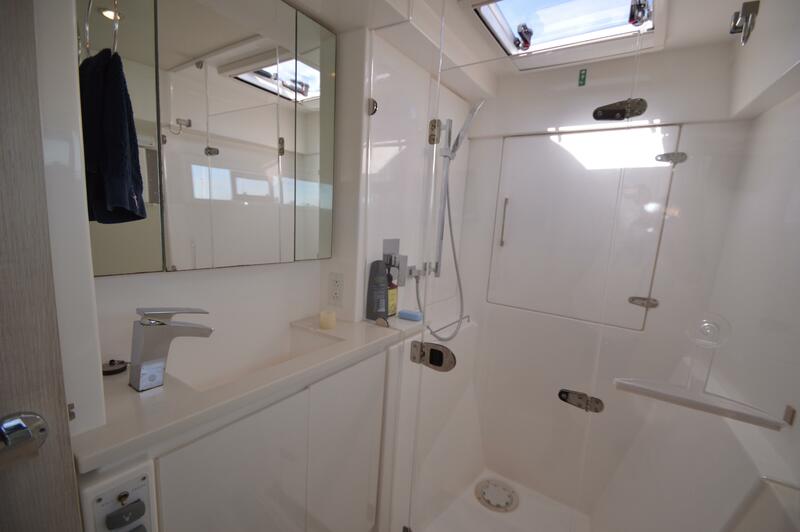 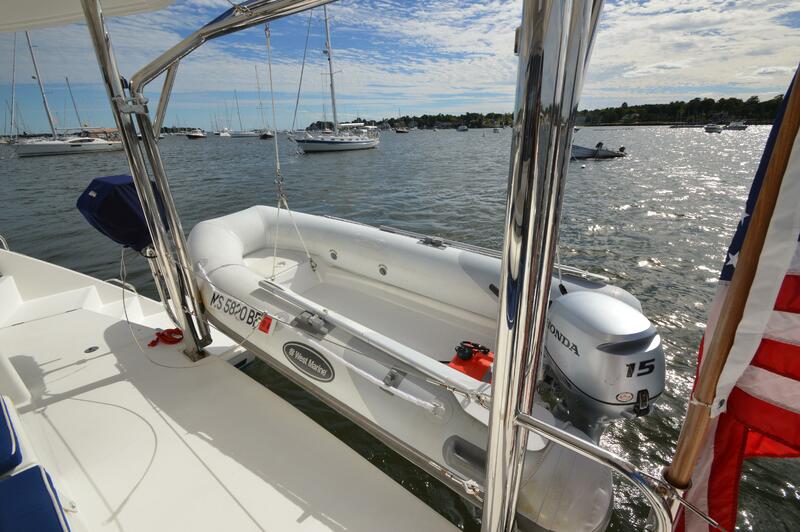 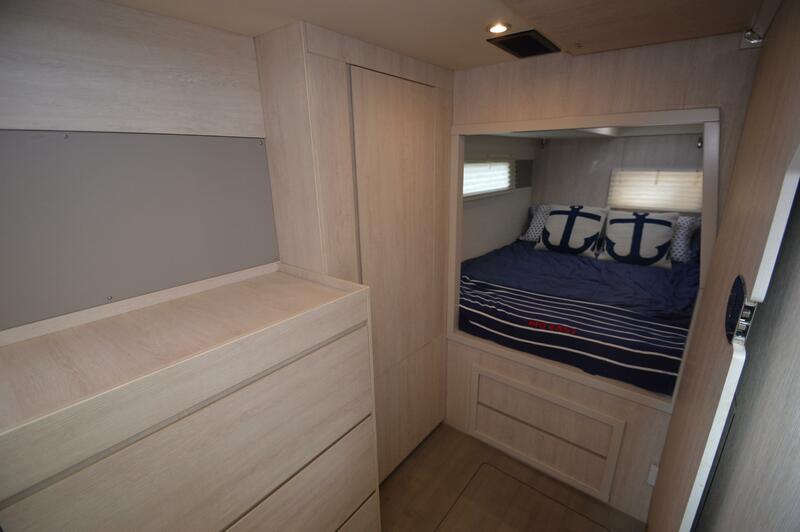 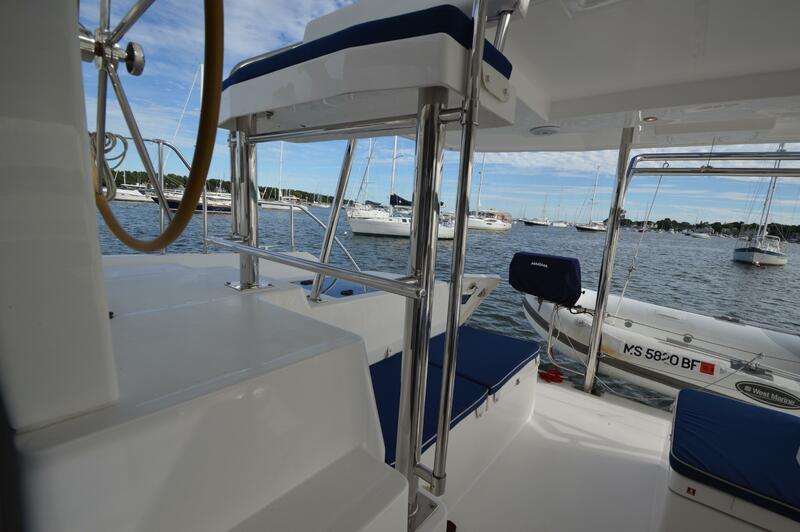 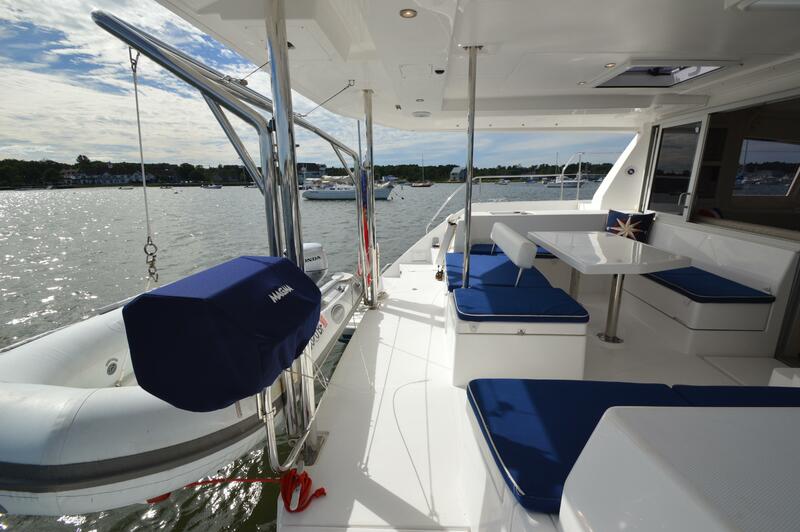 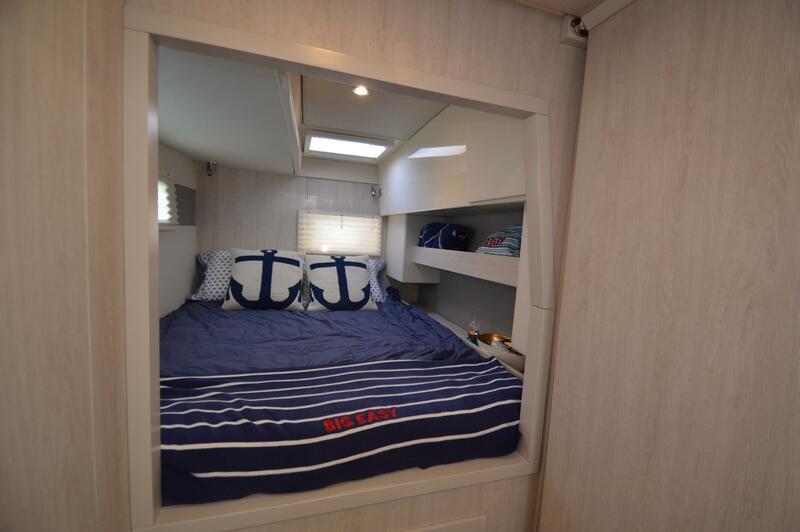 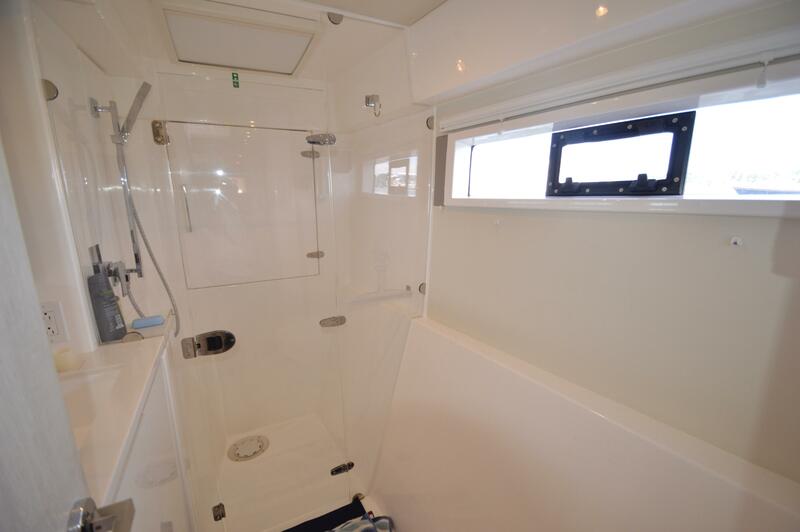 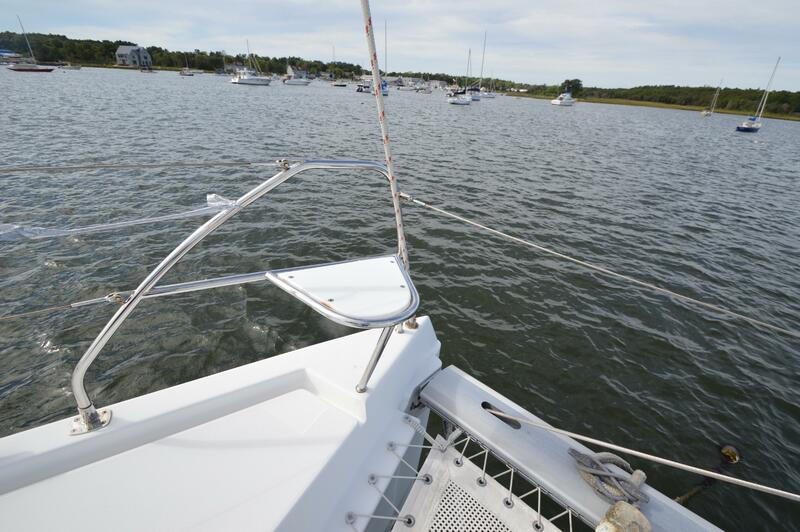 You won’t find a more spacious, open feeling 40 foot Catamaran on the market.